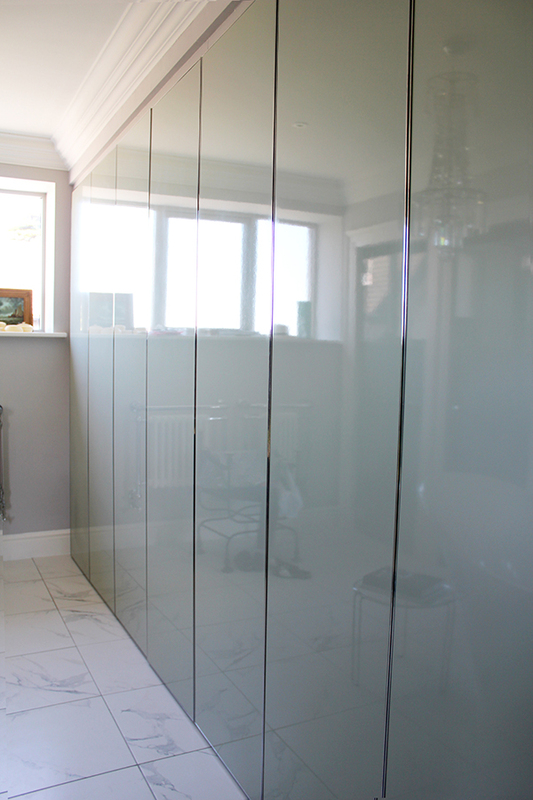 A full length wall with a custom made wardrobe. The internals are made to the exact spec of the customer and the doors are no different here. The customer wanted a clean simple detail on the doors. 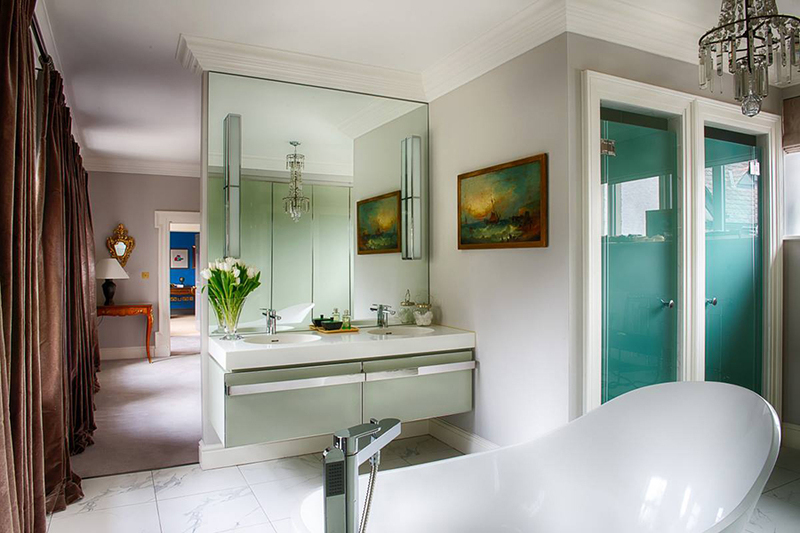 We made it with a 5mm trim in mirror polished stainless steel on a gloss lacquered door. 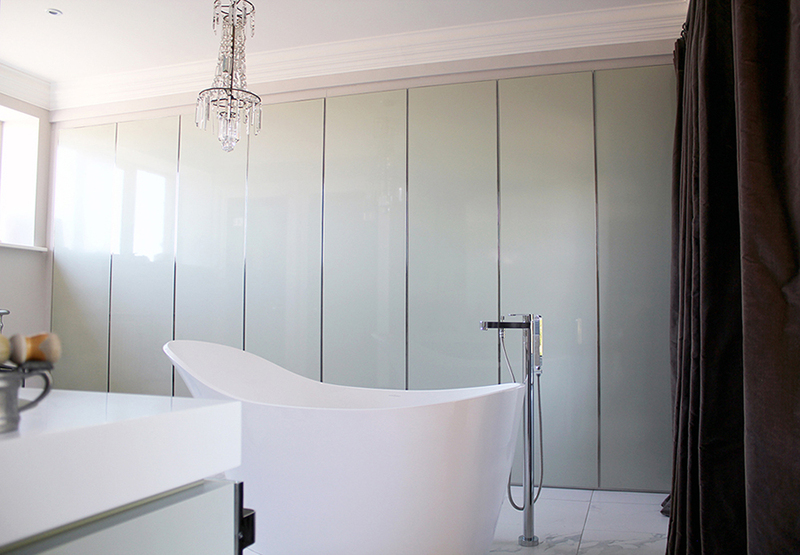 The trim is mirrored on the bathroom cabinet we made too, with a white corian top.